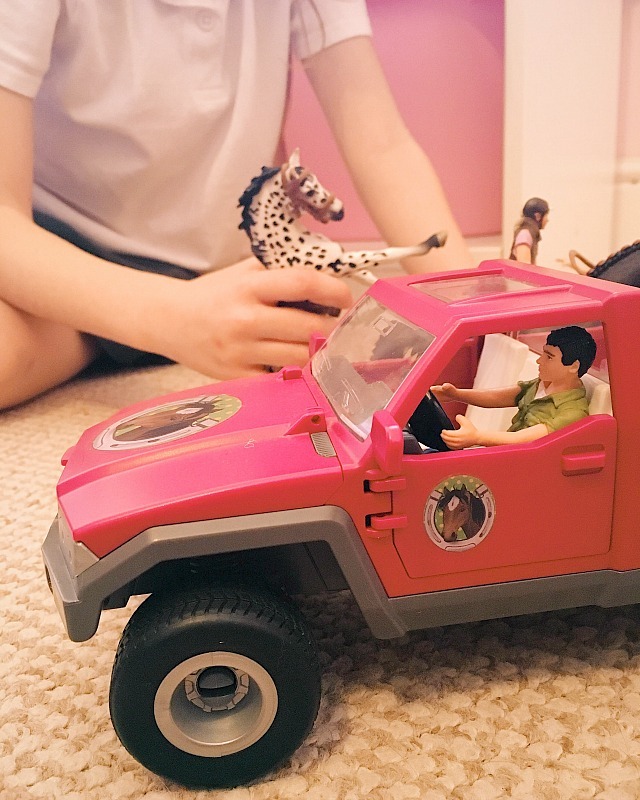 I don't do toy reviews on this blog very often - mostly because I think that when it comes to toys, as parents, we like completely different things to our kids. When the girls were little I spent all my money on beautiful wooden toys for them - which they loved until they started nursery and school and started lusting after the latest sparkly, pink, plastic tat that all their friends were talking about (which I of course buy them, albeit reluctantly!). But one toy brand we all agree is absolutely wonderful is Schleich. 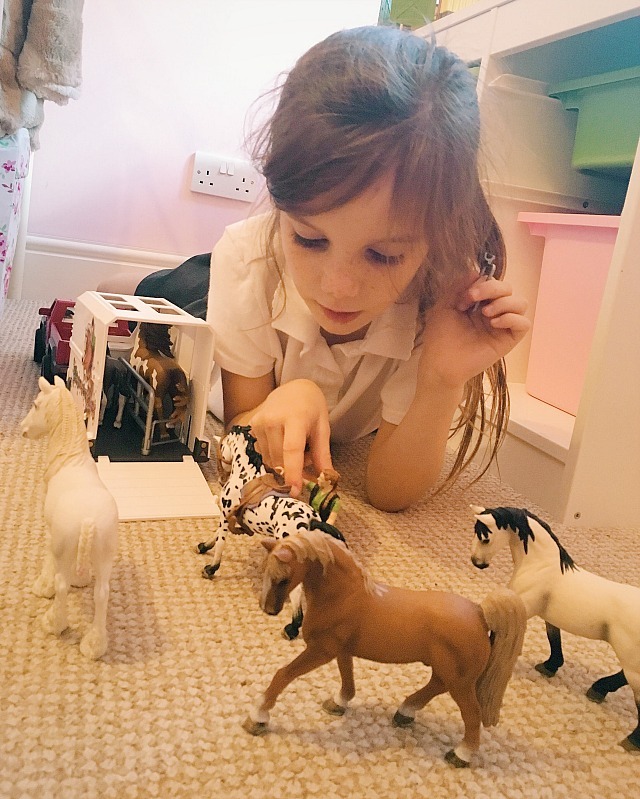 Purveyors of well made and realistic animals and figurines; the girls love their toys, and so do I - so when we were asked whether we'd like to review the Horse Club Pick-Up with Horsebox last month we agreed without hesitation. We already have a pretty impressive collection of Schleich animals at home; both girls went through a phase where they would spend their pocket money on a new one every week (the single figurines start at just a few pounds each so make perfect pocket money toys) plus they sell them in our local garden centre so have been used as a bribery tool in the past (I have ALL the parenting skillz). 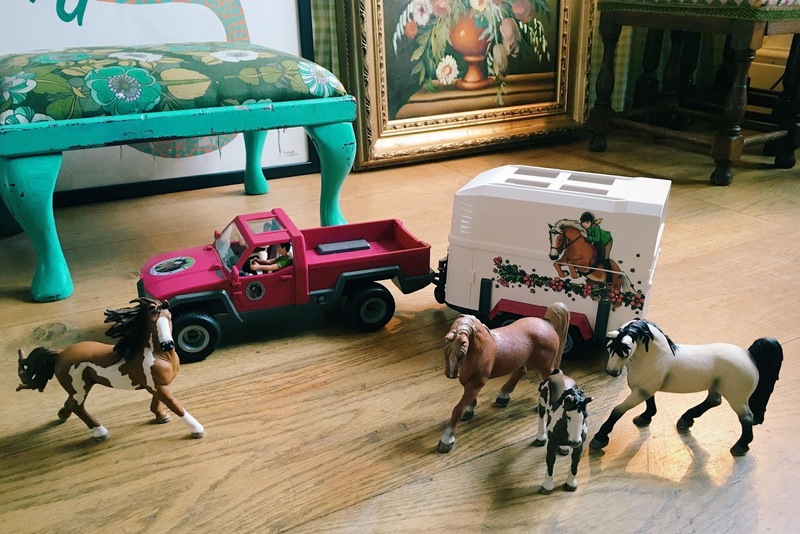 Their favourite animals are horses, so their Schleich horses are regularly fought over played with - and the pick up and horsebox was a perfect addiction to their games. Aside from the pick-up and box, the set also comes with a driver, a horse and a groom, as well as lots of teeny tiny little accessories and, together with the toys they already had, this meant there was lots to share between them! 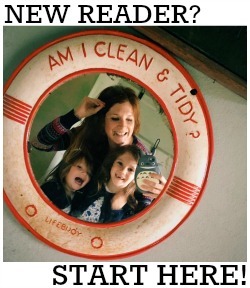 (You can read my review of some other Horse Club accessories here). As is the same with all Schleich products, the pick-up and box are incredibly well made. They have certainly been put through their paces over the past few weeks! The vehicles did require assembly before the girls could start to play with but this was no problem and only took minutes. Then they were ready to go! If you're looking for a great toy for a horse mad child then look no further. The Horse Club Pick-Up with Horsebox costs £39.99 and is available from the Schleich website here. We were sent ours for the purpose of this review. All words are true and my own.